Unlike the past few weeks of Theory Thursday, I am not going to spend this week complaining about how one thing is better than another. Well, not in the traditional sense, anyways. You see, it was announced this past Wednesday that The Academy's producers are considering having two people host the ceremony. While it isn't a popular trend, I do think that there's room for a lot to possibly go right. We have seen this happen before with Steve Martin and Alec Baldwin trading banter like old pros. Now, what exactly did those two have that the more notorious duo of James Franco and Anne Hathaway didn't have? You could say talent, but that is far from the truth. Franco is a fine actor when given the right material. Hathaway was equally as gifted, merely two years from winning her Best Supporting Actress Oscar for Les Miserables. It was just that they weren't hosting material. Now, there's a lot of obvious ways to go with this debate. The Oscars in general want to skewer hip and appeal to younger audiences. That's why there was Neil Patrick Harris or Seth MacFarlane before. Yet the hosts that really pack a punch tend to be the older crowd. Well, maybe not Billy Crystal's last gig. That was merely fine. However, there has to be some chemistry to pull off the gig. You have to dazzle at the top and only spontaneously pop up afterwards to announce presenters. I don't know that too many people can pull that off. Yes, there's people praising the idea of Tina Fey and Amy Poehler doing the gig. They are in fact very funny ladies with hosting experience. They did host the Golden Globes twice. They are rather reputable to younger audiences. 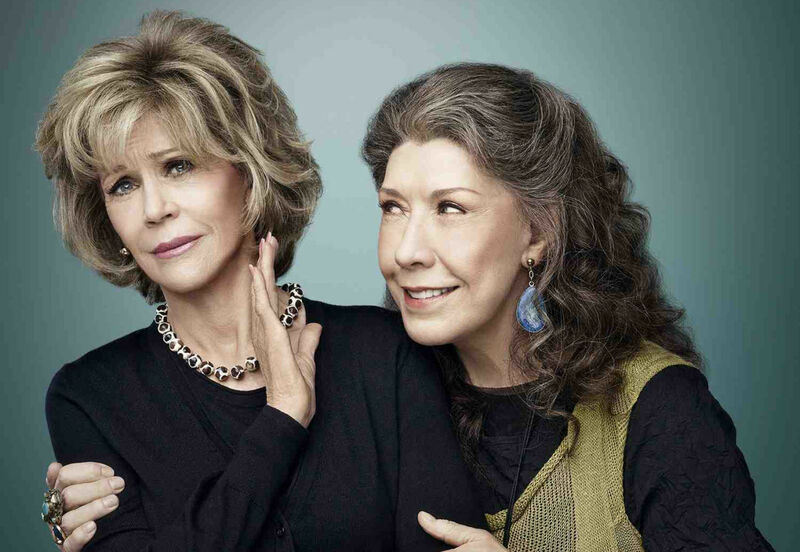 However, I think that there's one duo that wouldn't be too bad: Lily Tomlin and Jane Fonda. This may sound immediately off putting. 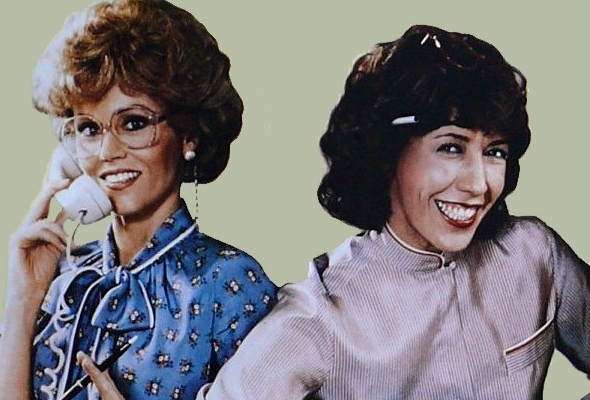 Considering the previous comments about the Oscars wanting to skewer young, it doesn't seem right to pick two older women whose career high point was with the 80's comedy 9 to 5. Yet here's the thing. Look at Baldwin and Martin. They were very good at their job. They had a chemistry that is often lacking from Oscar hosts. They may have not been the best, but you learned to care. They didn't outstay their welcome and thus were able to keep the show rolling. Of course, Martin has always been capable of winning over a room. He hosted prior to that event with even more successful results. But what makes Baldwin and Martin work? The answer is simple: charm. That is what Tomlin and Fonda have. They popped up at the Golden Globes last year and in a brief bit as presenters, were able to win over the crowd. They may appeal more to the elderly crowd nowadays, but I do think that they have something that could be transcendent in the right hands. As anyone who is familiar with their work together would know, they are able to be charming together while also be rather funny by themselves. Tomlin is especially good at this, seeing as she still occasionally performs shows around the country. If nothing else comes of this, I would like to see Tomlin at least get consideration. But why now? Don't these two seem irrelevant? That's a good question, especially if you aren't in their demographic. The truth of the matter is that they aren't making anything as shattering as 9 to 5. Fonda is far from her prime. Yet I put a little faith in them because of many reasons. There's that initial Golden Globes banter. There's also the presence of Tomlin having an impressive little comeback. Well, she isn't exactly becoming a household name to an audience that doesn't already like her. However, I think it is interesting to note that she is having a banner year when put into comparison with most of the past decade. She remains busy, but this year marks a few milestones. For starters, this summer has marked one of her most acclaimed gigs in awhile. In the film Grandma, she plays a sassy grandmother to a pregnant granddaughter. Fans of Tomlin consider it to be one of her best roles, at least in many years. While it remains more wishful thinking than actual reality, she has also been getting some Oscar buzz off of the role. If The Academy love her, she may be able to be an outlier in the category, earning her first nomination since 1975 with Nashville. She wouldn't be the first to be nominated and host. James Franco was nominated for Best Actor for 127 Hours the year that he hosted. Again, this is likely more to be a favorite among fans than a considerable Oscar contender. Beyond this, Tomlin's fire can be seen in her latest project with Fonda. Together, both have worked on the Netflix original series Grace & Frankie. It follows the journey of two polar opposite women whose husbands dump them and marry each other. While not Netflix's most high profile show, it does feature plenty of chuckles for those wanting to see the 9 to 5 actresses work together again. It is full of irreverent humor and is even a little risque. As of this moment, it seems to be the only Netflix specific series that is skewered directly at an older audience. Thankfully, it is also good enough to justify its existence, depicting an LGBT story for an audience that is often overlooked. Grace & Frankie may be the definitive evidence I need to make my point. Where I could just say that Fonda and Tomlin have been funny for minutes in public, I can point to this series and prove that they also have impressive chemistry. Even when playing opposites, they're able to read each other and find the comical foibles of conservative and liberal cultures in the elderly. The jokes are more playful than brash with each story proving to be surprisingly heartfelt. You'll come to like them by the end, even if the series doesn't necessarily appeal to a younger audience. Still, if you haven't given the series a shot, go for it. I do have a few obvious concerns. Tomlin is famous for being modest and reluctant to embrace her fame. She doesn't seem like the type who would host a 3+ hours gig, especially at her older age. Then again, that may be the beauty of it all. She can surprise audiences with her ability to be charming and biting at the same time. It would also be a nice topper to an already impressive year for the legend. I think that Fonda would be an excellent addition given that they already have chemistry together. I know that the ceremony may not exactly be the big spectacle if I get my way, but it may allow the performers to be more central. It is a tough call, especially since I don't think that Tomlin is even on most's Top 20 potential hosts roster. It is a youthful job after all that has run through a lot of modern talents who haven't been able to capture the audience's attention. It's a thankless job, and one that is likely to be forgotten in time. Crystal's most recent gig is a prime example of people thinking that The Academy is out of touch, choosing to have an old hat come on that could just do his job. I don't know if that has made them timid to explore older hosts, but I do think it would be an interesting choice to try it again. After all, there are older winners. Only seems right to recognize them as well. In the end, I think that I would have something to say even if I did like who was chosen. I mostly bring Tomlin and Fonda to light with the hope that it can spark some debate. Maybe the Oscars should pick someone older and more modest. Maybe pick someone who has chemistry and charm. I know that there's younger people that do (Keegan Michael Key and Jordan Peele are also an interesting choice), but imagine if this is a stripped down year where everything is focused, especially with complaints last year of the show running long. I don't know what to expect. I don't even know what's nominated. I just hope that Tomlin is at least invited to provide a little laughter to the evening.